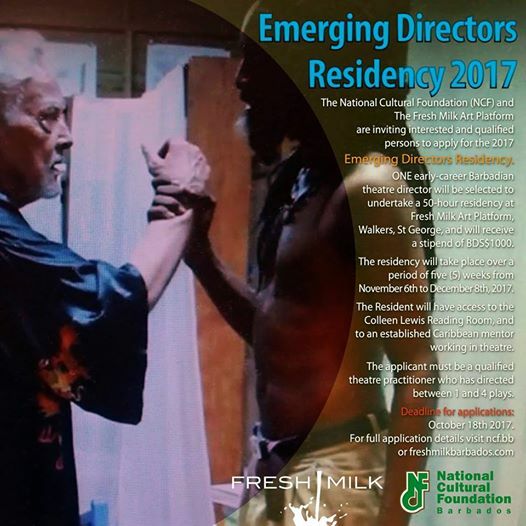 The National Cultural Foundation (NCF) and the Fresh Milk Art Platform are pleased to share an open call for the Emerging Directors Residency 2017. Launched for the first time last year, this exciting programme is a paid artist residency for early career theatre directors, which will provide them with an opportunity to conduct much needed research into Caribbean theatre heritage and to explore and create through theatre form and style. One residency will be offered for one emerging Barbadian director, who will receive a stipend of $1,000.00 BBD. The residency will be based at the Fresh Milk studio in Walkers, St. George, and will run for a 50 hour period which the resident must complete over five weeks, between November 6th – December 8th, 2017. The deadline for applications is October 18th, 2017. The selected resident will be mentored over the course of the programme by a noted Caribbean Director and, at the close of the period, will present by way of an intimate, private showcase with their actors and specially invited theatre professionals, aspects of the work they have been exploring. Residency programmes afford professionals time and space away from the demands of daily work life to carry out much needed professional development, with the emphasis on process rather than necessarily having the pressure of producing a finished body of work. Outside of traditional longer term training, a paid residency allows artists time for contemplative study and exploration. In the Barbadian context, there is much focus on the training of performers, however there are considerably fewer opportunities for those theatre artists with a special interest in directing to hone and develop their skills. Highly skilled, culturally aware and visionary directors are needed, as we move nationally to advance our cultural industries sector, and to enrich the quality of small and large scale staged events, whether drama, music, dance, or indeed multimedia events. 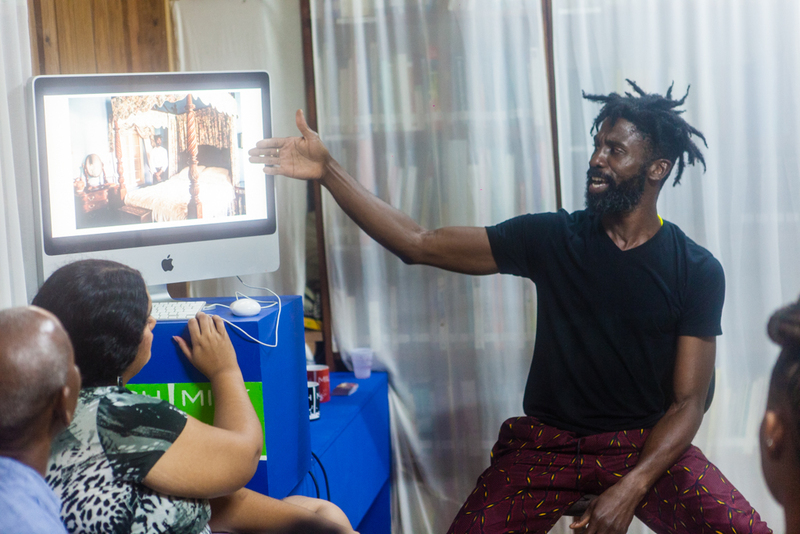 Greater awareness of Barbadian/Caribbean theatre form and style will serve to enhance the ideological and interpretive output of those up and coming directors on the local theatre scene, and equip them to create work that consciously and profoundly engages with Barbadian tradition. ‘Emerging Directors Residency’ offers an opportunity to design and apply staging concepts for ‘alternative spaces’, i.e. the “site-specific”, and otherwise environmental concept. It offers mentorship, access to archival material, and affords time for creativity. The ideal candidate should be a trained Barbadian theatre artist, who has directed between 1 and 4 plays. 50 hours to be undertaken between November 6th – December 8th, 2017. Prospective candidates can apply with the completed application form (which includes a bio/artist statement, project proposal and detailed timetable outlining the 50-hours of the residency, and can be downloaded here), full CV and portfolio, writing samples from your director’s notebook and 2-3 critical (newspaper, peer or academic) reviews of recent work to the National Cultural Foundation, Theatre Arts Office at the email address lisa-cumberbatch@ncf.bb before midnight on Wednesday, October 18th, 2017. They will be interviewed by a panel comprising NCF and Fresh Milk officials. The successful candidate for the residency will be offered a stipend of $1,000.00 BBD. The mentor will spend 10 hours in total with the resident over each 50 hour residency. The resident will have access to two actors for 15 hours to experiment and/or create work. At the end of the residency period, there will be a short, private showcase where the resident can share aspects of the work they have been contemplating with a small audience of invited theatre professionals. In addition to the 50 hours spent at Fresh Milk, each resident will be required to keep a weekly blog of text and images documenting their thoughts and processes which will be shared on the Fresh Milk website. At the close of the residency, each resident will also be required to submit a report according to Fresh Milk and the NCF’s guidelines. as I ask the day for all that’s good. -in ways their DNA recalled. rose above their heights and blocked light. i was ready to be home. thank you to the fresh milk team for the wonderful experience and for the invaluable network and resources provided. i am eternally grateful! Every night is a time to reflect on the events of that day, yesterday, and the day before that. Today (6/9/17) is one day short of a week that I have been here in this place where there weren’t many places for a runaway to hide. Flat land. Coral rock holding points of pressure always a reminder that one day, almost all of this, if not the highest point of this mass, will look upwards to refractions of light filtered by a mix of salt and fresh water. I see shells at my feet in places that provide an overview of flowering fields, marveling at the magic produced by the perfect length of day. There isn’t much soil here. So I’ve heard. I couldn’t help but wonder how one buries the dead. My mind ran through the file of flora and fauna my eyes have registered since landing. To think that their roots do not run deep. Or maybe they possess the strength and capacity to carve their way through the limestone floor because they must. I wondered. Every time that I see banks of this almost rock that flank the roads I travel, I want to measure the depth of dirt that rests atop like frosting on sponge cake slices. I am curious. Six or seven inches of soil is all it takes for “white gold” to situate itself in this part of what Andrea Stuart referred to as a “European world”, to the south and west of England’s winter. “It’s Complicated”… is a phrase that became popular on social media platforms as a way to describe relationships between two individuals when either one or both parties dance between acknowledging the other as a romantic/committed partner and not doing so. This could be due to reasons that may or may not include external pressures, unresolved prior romantic/committed relationships, apprehension to absorb one another’s “baggage”, lingering questions regarding long-term effects on one’s social status, fear of personal sacrifices that are inevitiable for the relationship to work, and or unaddressed psychological trauma that hinders one or both parties from being able to commit to the “long-haul” together. and boots barely too close. Despite the words of caution and warnings, I, the guest, stepped in the pile. I, the guest, was smearing, spreading, and stirring up the mess with the work I was doing. There was one instance in particular where I was asked to stop. for bush and deep waters are never far. and rock it with musical vibrations of the region. is to draw from its wells of intellectual tradition. warmed by the Caribbean sun. For sugarcane to have earned the moniker “white gold”, scientific means had to have been employed to develop and improve its quality, while maximizing its production. There were people at the helm of this scientific research. Parallel to this timeline that ensured the success and longevity of the sugarcane industry, existed a systematically constructed labor force comprised of enslaved Africans and their descendants. The success of the plantation system (slavery) in Barbados was a model for the colonies in North America. 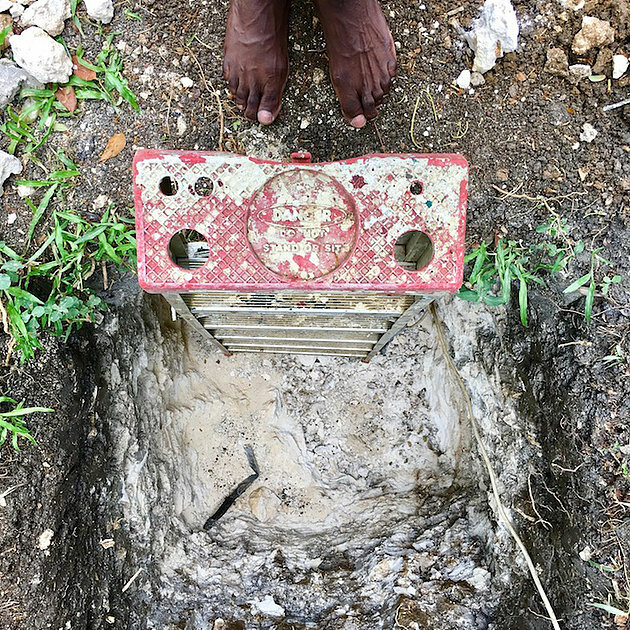 As sugarcane was and is selectively bred, enslaved Africans and their descendants born into slavery in Barbados were also bought and sold-their value determined by their physical attributes and skills. I am intrigued by the historical and contemporary societal relationships between the two and plan to investigate this and the sensitivity of these matters more in my practice. Engaging in conversations about this, is not for the ill-prepared. Preparation is a must. Patience must be had, composure maintained and its important for all engaged parties to be present with a willingness to bridge gaps of understanding within “the complicated”. If not now… when? This week, I went exploring. Stir crazy from the isolation of my own head, I decided to give myself a break and travel all over the island. I thought it would be good to do this because I was having trouble formulating the narrative of my poem, and a break was necessary to gather my thoughts. My week started off with an island tour that Natalie McGuire took Nyugen and I on. We were able to watch the island come alive through her lead. With good company, I allowed the spirit of the island to speak to me. We explored caves and cavernous cliffs that overlooked the sea at the east and north points of the island. It was a beautiful thing to experience, and from the natural beauty of this place, I was able to find some melody to my writing. But it wasn’t quite there yet. 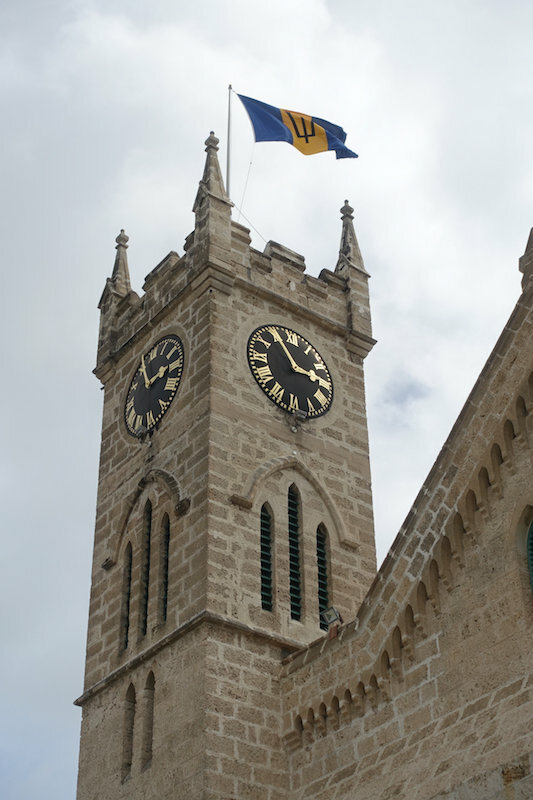 During the week I decided to go walking around in Bridgetown. The bustling activity of the place immediately overwhelmed me. It was quite different from the silent stillness of Walkers Dairy and reminded me of the hullabaloo of Downtown Nassau. Because of this, I found it kind of homey as I walked through the busy crowds that were ambling towards shops. I visited libraries, souvenir shops, produce markets, and stalls on Swan Street. The Bridgetown atmosphere was definitely invigorating, but did not unblock the words I needed for the piece. Feeling frustrated I confided in Sonia Williams, a Barbadian performance artist, theatre director, writer, and educator in Theatre Arts at the University of the West Indies Cave Hill Campus, about the construction of my Hag Woman character. 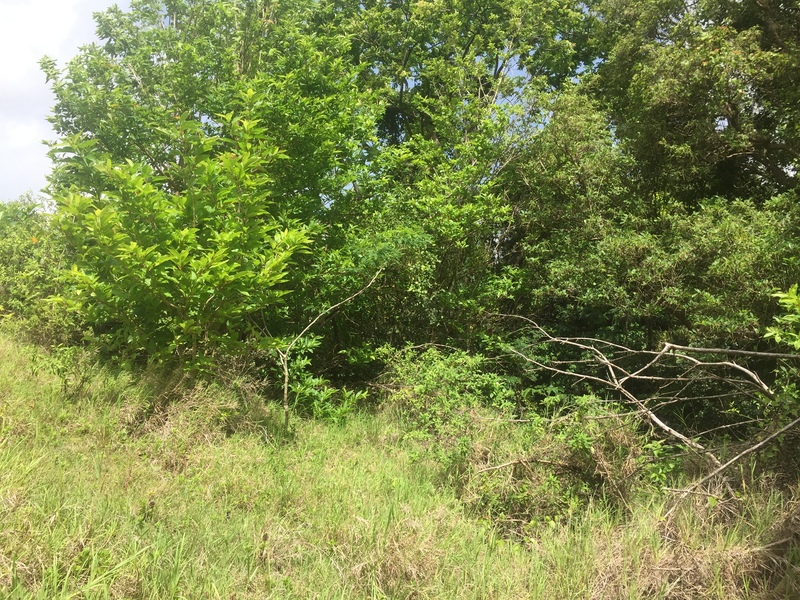 She suggested, because the character was so connected to the woods and trees of her environment, that I immerse myself in the woodsy areas of Barbados for inspiration. So one morning, pulling on my T-Shirt and very long jeans, I ventured into the woodsy trees that surrounded Walkers dairy. The stillness of these woods inspired some of the words for my poem. I was able to indulge in what my protagonist would be able to see when she transforms herself, and her voice came passionately. When I left the woods I felt reassured. I knew the words were coming. But I needed a bit more help, and Annalee was able to provide some for me. Later on in the day, she gave me a copy of Everybody Knows I am Haunting by Trinidadian writer Shivanee Ramlochan. Her words were vivid enough to fuel dreams and spark my imagination. The story of the Hag Woman comes from the inspiration I gathered from reading this book. It came from those dreams. After all the exploring, all the reading, my piece began to take on form. I was delighted. Again, I would like to thank Annalee and Katherine for letting me indulge in this amazing experience here at Fresh Milk. The Hag Woman and I are immensely grateful.